We are witnessing now a widespread increase of antisemitism in the world. It would be irresponsible to ignore it. Since JCall’s creation in 2010, we have always been alert to that situation. Fighting for an Israeli-Palestinian agreement based on the “Two Peoples, Two States” principle, and ensuring the safety of Israelis and Jews in every country: these two tasks are, in our view, complementary. 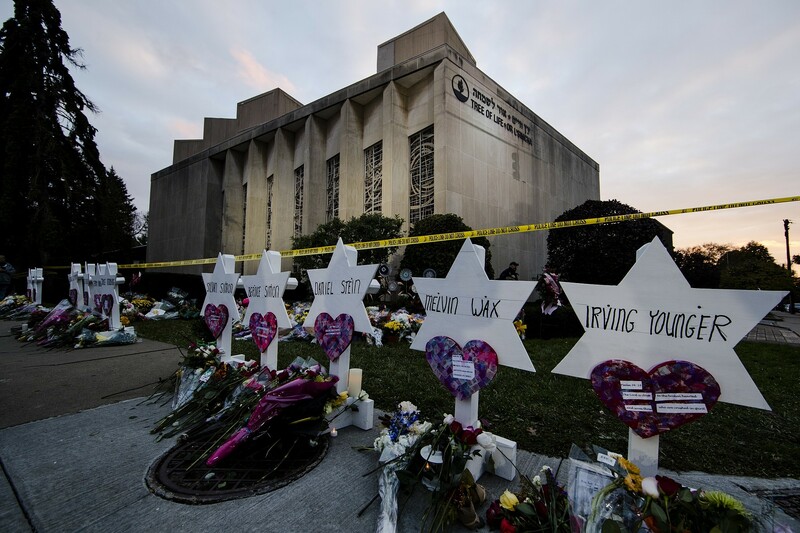 The recent killing in Pittsburgh—reviving the memories of Ozar Hatorah school and Hyper Cacher killings (in March 2012 and January 2015) and of numerous other antisemitic crimes committed these last years—points out the necessity of a enhanced mobilization against antisemitism. In France, nearly 40% of violent racist actions registered in 2017 were aimed at Jews. In the United Kingdom were reported in 2017 a higher number of antisemitic crimes than ever before since such statistics exist. In the United States, according to the figures published by the FBI for 2017, Jews have been victims of 13% of Hate Crimes. In these three countries, and in many others, the last available data show an escalation of antisemitic attacks in 2018. For France, Prime Minister Edouard Philippe reports an increase of 69% during the nine first months of this year. The substratum of these attacks is the pervading climate of hate incitement. The Pittsburgh killer was a far-right militant, and Ozar Hatorah and Hyper Cacher murderers belonged to islamist movements. All of them have been influenced by the same anti-Jewish myths: conspirationist rants stemming from The Protocols of the Elders of Zion and disseminated by troublemakers of various allegiances, slayers of the new world order or heralds of the Peoples Liberation, blaming a mysterious entity, moved by a driving force called Zionism, for all the miseries of the world. In the political platform of our website, we reiterate that “seriously antisemitic statements pronounced in certain circles enjoy a total impunity only because they are disguised as anti-Zionist comments” and that “antisemites often use an anti-Israeli language as a pretext to spread the hate of Jews.” These words, written and published several years ago, are more actual than ever. Antisemitism is a crime, no matter what may be the identity of its perpetrators and the country where they take action. We often hear that the policy of the Israeli government might be responsible for the rise of antisemitism. That argument is nothing but a perversity of the mind, which consists in transferring the responsibility of the perpetrator (namely the antisemite) to the victim (the Jew, likened to the Israeli government). Besides, those who proceed in this way would be the first ones to denounce that approach were it to be used to their prejudice: since the political solidarities of Jews are supposed to “explain” attacks on synagogues, would the political solidarities of Muslims “explain” attacks on mosques ? More than ever, we call for dialogue—an authentic dialogue, in Europe as well as in the Middle-East, founded on a mutual respect and on the pursuit of peace. But when it comes to antisemitism, disguised or not as “anti-Zionism”, let us be clear: we miss nothing.